All news and PR about Sirplay’s world are published in this category. 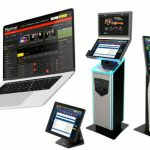 Stay updated on new products releases, new major partnership, new certifications obtained or our attendance at world betting and gaming shows. Welcome America, we were waiting for you!